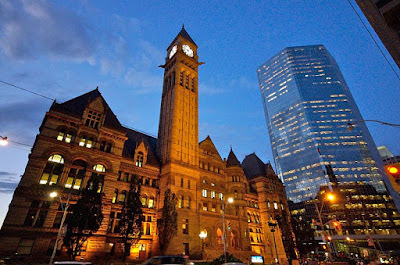 The Barrister Brief: Have a Favourite Court House? The thing about being a litigator, especially one who practices mostly criminal law, is that I spend a lot of time hanging out at law courts. I know not everyone likes to see the inside of a courthouse, but what about the outside? 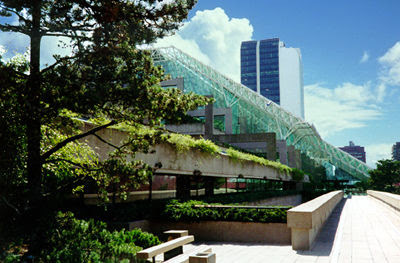 I think courthouses have some of the best architecture in Canada. From the historic Georgian to the Post-Modern, we seem to measure ourselves by how interesting and impressive our courthouses are. But while their interior functions are really quite utilitarian and uniform anywhere you go, the buildings vary greatly. Photo credit to the Canadian Encyclopedia. Photo Credit to Paulo Barcellos Jr.
...our courthouses seem to define our identities. Photo credit to Nova Scotia Dept. of Tourism, Culture & Heritage. ...but also in temporary spots like strip malls and the upstairs of Lion's Club halls. They all had their charm, though the newer ones have a propensity of getting torn down after their few decades of usefulness leads to a losing battle against structural decay and overcrowding. So, do you have a favourite, wherever you might be from? Let me know. Nice post. I saw an amazing courthouse in Boston. 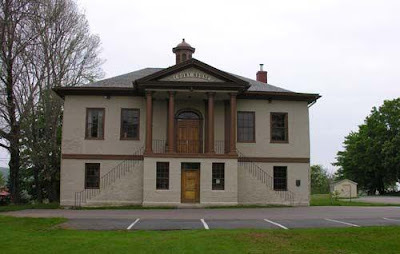 In fact, most New England courthouses are pretty jazzy!